One could write a...a...blog post about how awesome today's favorite characters are! Mind you, I said "could", not "is going to". "Alberto VO5 Hot Oil Treatment? No, I've never heard of it. Why do you ask?" She's the Final Girl, isn't she? I mean, really. I know it's a classic and all, but I was never into Rosemary's Baby like, at all (I KNOW) until a random viewing of it a summer or two ago. I get it now. I do. I get it. Also, I don't know why I feel like telling you this, but when you enter "Minnie Cast" into Google image search, the predictive results are "Minnie Castevet" and "Minnie Cast Iron Multifuel Wood Log Burning Stove 6.5kw". So there you go. 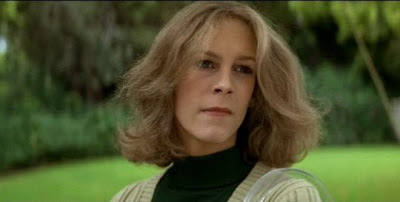 Poor timing on this, but I'm glad someone was once a member of the "doesn't get Rosemary's Baby" club, as I'm afraid I can't see myself ever leaving it. Perhaps the chooser of Minnie will have some helpful advice. OK, I'm the guy who chose Minnie. When I was a kid in the '70s, they showed Rosemary's Baby on network TV and I wasn't allowed to watch it. This created a mystique about the movie. So it's more of a nostalgic thing for me. 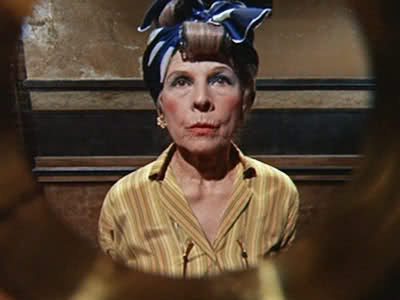 But who doesn't love Ruth Gordon?